These themes have been assembled based on HSS units, lapbooks, and resources that share the same topic. Each theme contains multiple Homeschool Share units plus a library list of suggested go-alongs to embellish your study. 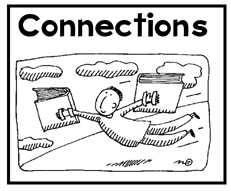 Each Connections Study has the potential of lasting you and your student for at least three weeks.